How much does ColourFence cost? 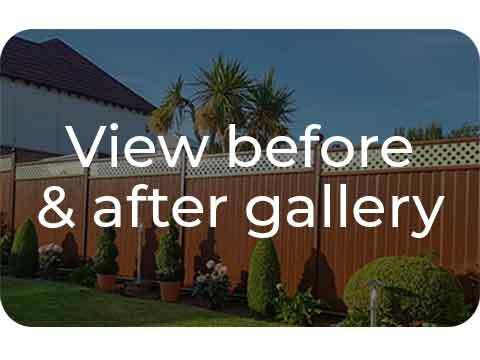 The prices for our ColourFence can be found on the respective product page. 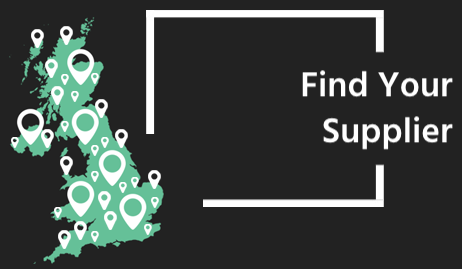 However, for an accurate price, we suggest you take advantage of our free, no obligation, site survey and quotation service. It is easy to book, all you need to do is fill out the contact form and someone will be in touch, alternatively, you can call our free-phone number and we will assist you. Can I have a different colour trellis to panel? Yes, as long as the colours are the 4 standard colours available, you can mix and match the trellis and panel to fit your preferences. You can also choose a different colour for the rails, posts and ball/flat-caps for a truly unique look. What is the lead time from order to fit? Generally we advise the lead time to be between 4-6 weeks. Do I get a warranty on ColourFence? Yes, we confidently offer a written 25-year warranty on fence materials, and two years on fitting, providing installations are undertaken, and the fence maintained, in accordance with our specifications. Can ColourFence be used as a retaining wall? No. ColourFence fencing has not been designed or tested for use in this application. It is highly likely the soil will cause corrosion of the steel. How do I maintain my ColourFence to ensure long life? A regular hose-down will keep the paint finish in good condition. Keep the bottom rail free of dirt and debris to ensure the drainage holes are not blocked and water can run away. The fences should be clear of the ground at all times. Avoid over-spraying pesticides and other garden chemicals on to the fence. ColourFence cannot prevent graffiti, however, the infill profile means that “tags” are much more difficult to execute accurately than on a completely flat service, and this can act as a deterrent. ColourFence garden fencing comes in 4 colours - green, brown, cream and blue. Can I buy a fence in any height? Standard heights for ColourFence fences are 1.0m, 1.5m and 1.8m and 2.1m. However ColourFence can be readily cut to any specific size on site, although there may be a small additional labour charge. Yes. Although the 2-year fitting guarantee we usually provide when fitted by our franchisees does not apply. What do I do if my ColourFence fence gets scratched? Will scratches lead to corrosion? Minor scratches will not affect the performance of your fence because the galvanised and aluminium/zinc coatings effectively protect any cut edges or scratches from corrosion. It is best not to touch up minor damage, such as scratches, with paint as this will tend to fade in colour over-time and won't look as aesthetically pleasing. Can I over-paint my ColourFence? Yes, but we would strongly advise against this. The paint finish will be markedly inferior to the original and this will also void the fence warranty. Please contact the ColourFence Head office if you require further details. If I cut, drill or scratch the fence, will the exposed steel at the cut edges or scratch corrode? ColourFence is made from a high tensile alloy that is sometimes known as ‘self-healing’ because the zinc in the surrounding coating protects the newly exposed edge. In the presence of moisture, a reaction occurs between the zinc and the steel which results in galvanic protection of the exposed steel, thereby inhibiting corrosion. Can I buy a fence that has a different colour on each side? ColourFence is not produced with different colours of exterior grade top coat on each side. The only way to achieve this is to paint one side. Over-painting will, however, result in a surface which is not as durable as the original oven-baked steel paint finish and painting the fence will also void any warranty. You can mix and match the colours of rails, trellis, ball/flat-caps and panels for a unique style though, so we suggest you discuss your ideas with your fitter to see what is possible. Our ColourRail garden railings come in 5 colours as standard, these are green, brown, cream, blue and gloss black. We also offer up to 300 RAL colours as a bespoke order. What are the different styles of ColourRail? Available in a loop, loop and spear or all spear finish, non-standard heights and widths can be accommodated for bespoke applications at a small additional charge. Can I buy ColourRail in any height? ColourRail is available in a number of standards heights up to 1.5m. Non-standard heights can be accommodated for bespoke ColourRail. Can ColourRail be fitted in between already standing posts? Yes, ColourRail can be mounted free standing, or between existing pillars or on top of walls as local conditions dictate. How much does ColourRail cost? The prices for our ColourRail can be found on the prospective product pages. What is ColourRail made of? Manufactured from 16mm galvanized steel tube, and a sturdy 25x38mm frame. ColourRail is built to last. Do I get a warranty on ColourRail? 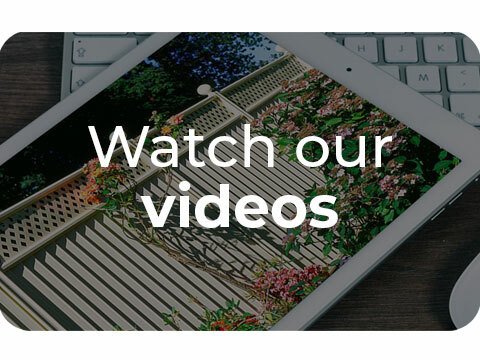 Yes we confidently offer a written 10 year warranty on rail materials, and two years on fitting, providing installations are undertaken, and the fence maintained, in accordance with our specifications. Why is ColourRail the low maintenance alternative to Wrought Iron? ColourRail is produced from Galvanised steel and all railing components undergo the necessary cleaning and pre-treatment process prior to the application of Akzo Nobel Interpon D1036 architectural grade polyester powder coat. This guarantees that the product will not flake or corrode for ten years. How much does ColourGate cost? The prices for our ColourGate can be found on the prospective product pages. What widths and heights are available for ColourGate? For ColourFence and ColourRail gates, we supply a range of standard widths, from pedestrian to driveway, and in heights up to 2.1m. What colours are available for ColourGates? Gates can be provided from both Colourfence and ColourRail ranges in standard colours of brown, cream, blue and cream. Additionally, ColourRail gates can also be supplied in gloss black and in up to 300 RAL colours at an additional charge. What are the benefits of a ColourFence Gate? ColourFence gates are manufactured from a combination of Colorbond steel and high quality pre galvanised, powder coated square tube. Available in a plain or lattice top finish they are ideal in situations where full privacy screening is required. They compliment any garden environment, with the benefit of being both durable and maintenance free, just like our fencing. What are the different types of ColourGate? You can get two different types of ColourGate, ColourFence gates and ColourRail Gates. What are the different opening options for ColourGate? Single gates have a 90cm opening, extra wide up to 160cm, and double driveway gates up to 300cm for ColourFence driveway gates and 340cm for ColourRail driveway gates. What are the different types of installations for ColourGate? For a ColourFence gate, they can be mounted free standing using the appropriate posts, or as an extension of your ColourFence fencing. For your ColourRail gate, they can be mounted free standing using the appropriate posts, or between existing pillars/walls. What are the benefits of a ColourRail Gate? ColourRail gates are manufactured from heavy duty tubular steel and are ideal for situations where full screening is not required. ColourRail gates look equally at home as part of a ColourRail or ColourFence installation, and of course can be supplied as stand-alone products in their own right. All our ColourRail gates are manufactured and powder coated in our own workshops to our exacting standards and lastly, ColourRail gates are an economic and very attractive alternative to more costly wrought or cast iron.